The Texas Spider Lily. 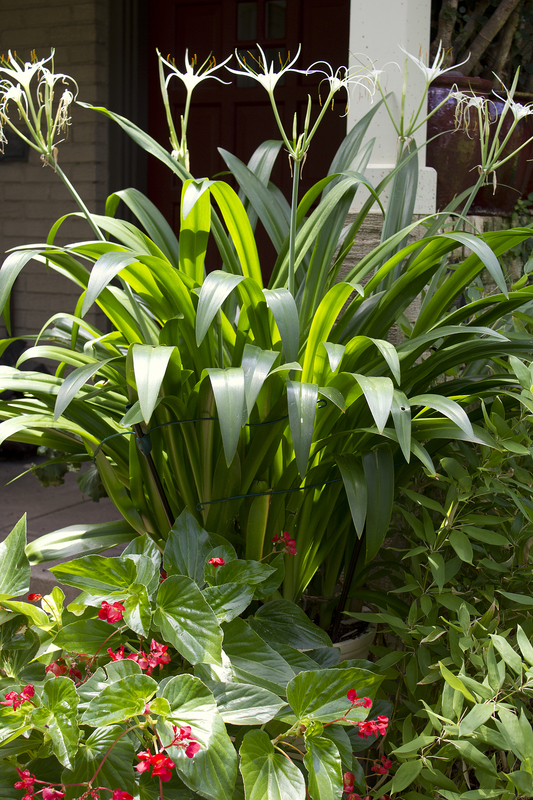 At the end of June, this container plant sends up five bloom stalks just in time for our Fourth of July holiday. Next year I plan to repot it into a bigger container. Unfortunately, once in a bigger pot it will not bloom that summer. For some reason this true Texas native likes to be root bound before it blooms. You can purchase the bulbs from The Southern Bulb Company. Update! As of the Fourth of July, there are seven sparklers! Not five. bulbsTexas Spider LilyThe Southern Bulb Co. Previous post Look What the Rains Brought!